By buying this product you can collect up to 126 loyalty points. Your cart will total 126 loyalty points that can be converted into a voucher of 25,20 €. 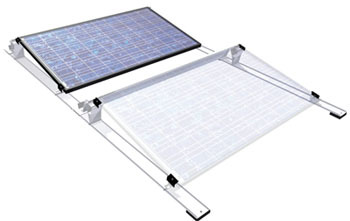 Installation system on flat surfaces for photovoltaic panels. 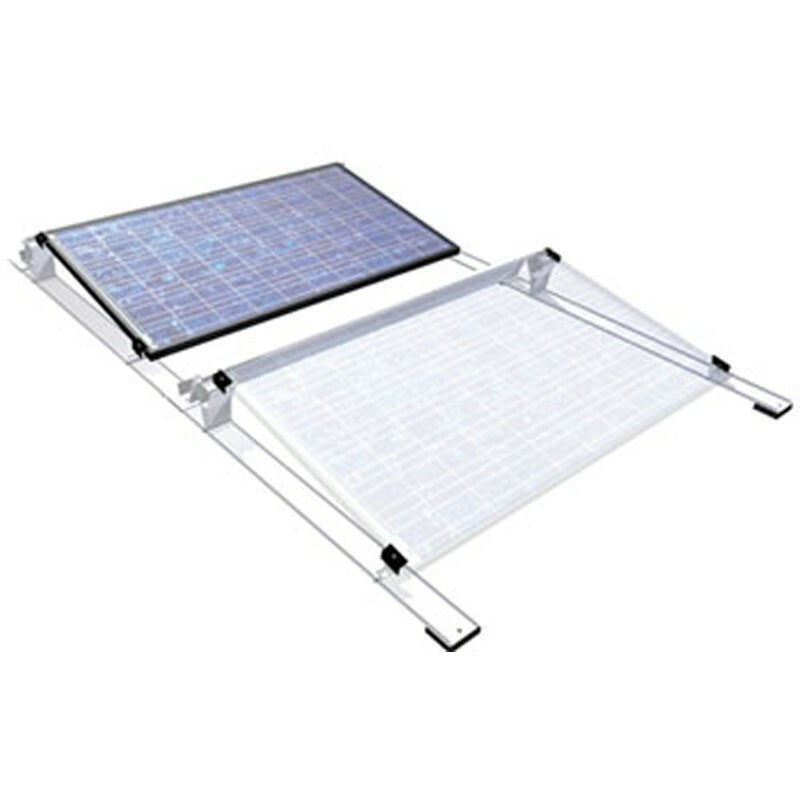 This system is suitable for all conventional flat roofs or flat surfaces. This structure requires little hardware and allows the use of shorter length rails, ensuring easier handling during installation to reduce costs and increase profitability. Ballasting is not included in the system. The simplicity of the system significantly reduces installation time. For example, setting up a 1 kW circuit requires about 3 to 4 minutes. East-West orientation possible, thank you for contacting us. The flexible design of the system allows it to be used on all kinds of flat surfaces and even allows installation on a roof with a slightly uneven surface. 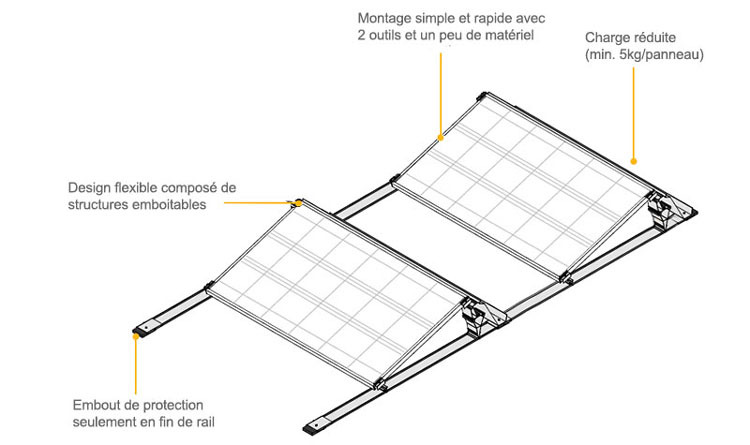 Thanks to its reduced ballasting (min 5kg / panel), the structure adds little extra weight to the roofs. Mounting is done without drilling the roof waterproofing membrane. A protective cap is only needed to cover the end of the rail.